Home / James Poulter / Opinion / Politics / What about Scotland? I want to talk to you about Scotland, and how I clearly I see my future there. I am English and live in the Midlands, but I am unable to say that I want to be here. I’ve set my sights for Scotland; I am a huge fan of the Scottish National Party (SNP) and Nicola Sturgeon herself. The reason I am keen to one day move to Scotland is because I believe they will have a second independence referendum, where the majority vote will be ‘yes’, to the question ‘should Scotland be an independent country?’. I will put it into layman’s terms for readers who have not followed the movements in Scotland. In 2014 Scotland had an independence referendum, where the majority of 55% voted ‘no’ to the above question. It was said that if there is a significant material change in the country, Scotland could hold a second referendum. Then in 2016, the United Kingdom called for independence from the EU. We all know that, to my dismay, the ‘leave’ campaign won. This is most defiantly a significant material change in the country. Scotland voted very different to the rest of the country, with a 62% majority to remain, and every single Scottish constituency deciding to remain. This means that Scotland is being removed from the EU unwillingly, but cannot remain part of the EU because it is not recognised as an independent country. There is only one way to stop this, become independent. Now it’s up to Sturgeon and the MSPs to fight for their right to have a second referendum. I believe that after time, Westminster will have no choice but to let them have the referendum. It is likely that Scottish people will vote ‘yes’ this time in order to remain a country in the EU. We should also consider the state that the rest of the UK would be left in. The country is already divided, imagine the chaos if we lost Scotland too. Now I realise, would Scotland being independent make it more difficult me to attend university there and one day live there. I cannot answer this question but I can predict the situation. 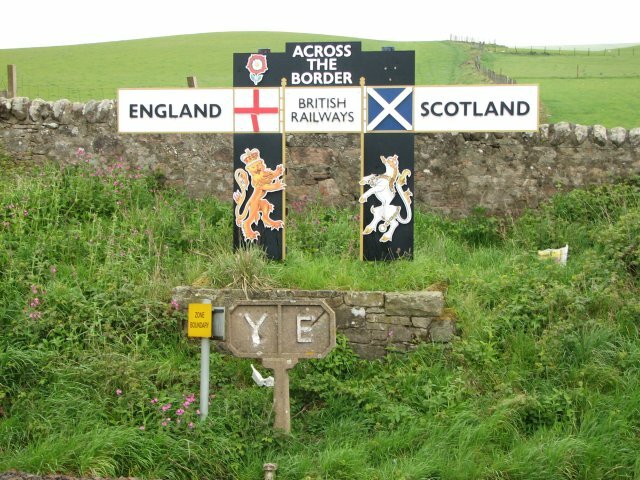 In the 2014 Scottish referendum it was stated that there would be no Anglo-Scottish border control. I do not believe there would be too much change to the restrictions on migration from England to Scotland. Now it is up to the Scottish people to decide, should they stay or should they go?